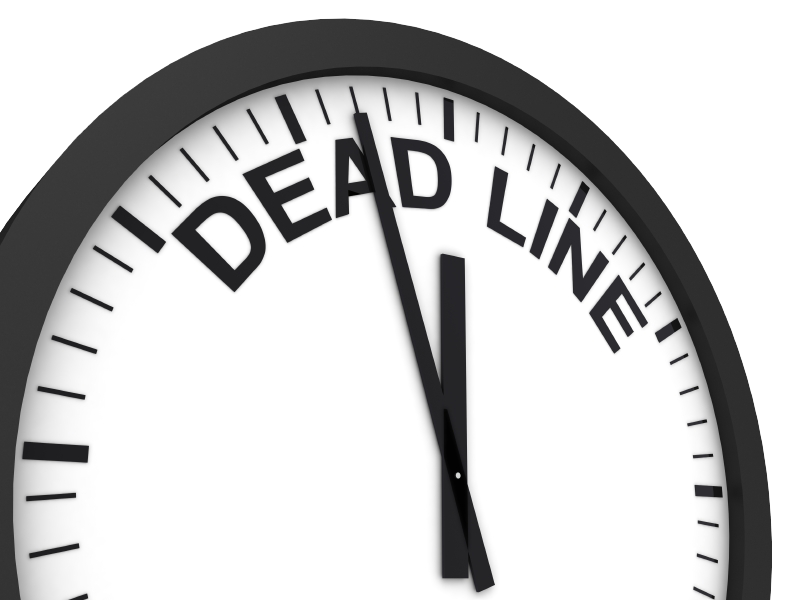 Is a deadline looming and you don’t know where to turn for FileMaker help? Do you need a new database field or a change to the way you sort your favorite FileMaker report? Do you have spreadsheets of data to import? No FileMaker task is too small for the experts at Adelman Databases. 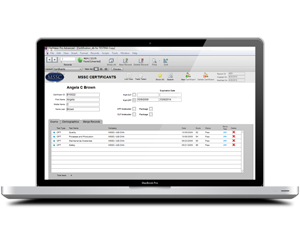 With remote login or screen sharing, your FileMaker issue can often be resolved in minutes, not hours or days. For your FileMaker Quick Fix needs, Adelman Databases is the company to call. Imagine reviewing a customer’s sales order as you stand in their lobby before a meeting; or checking your inventory numbers while riding Metro. With the FileMaker Go mobile app for iPhone and iPad, you can have real-time connection to your FileMaker database. 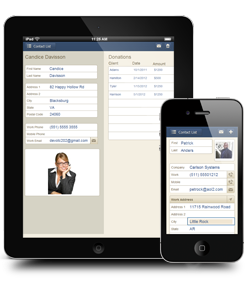 Call Adelman Databases today for a free quote on putting your data into the palm of your hand. Do you need an effective and elegant database? Do you want it customized to your business needs? Do you want to share and protect your data? And do you want all of this soon? Adelman Databases can help. With FileMaker Pro’s rapid development environment and Adelman Databases’ 18 years of experience, we can build your enterprise level database in less time, and for less cost, than you might think. Call Adelman Databases today for a free quote. Adelman Databases is the premier FileMaker Pro and FileMaker Go database developer in the Washington, DC area. We hold all current FileMaker certifications. From QuickFix Solutions, to Mobile and Enterprise Databases, Adelman Databases is the only company you need to call. You've got mounds of data that need managing, and we've got the flexible FileMaker Solution that'll help you do it. We'll build you a custom solution that's scalable, secure, and just right for your business. We create sophisticated, elegant, and cost-effective solutions for small and medium sized businesses. We’ve worked with more than 300 companies, trade associations, non-profits and government agencies. We can integrate your database with your website and mobile devices and give you access to your data where ever you are. The Art League in Alexandria, VA uses a FileMaker database to manage memberships, art gallery sales, and class registrations for more than 7,000 students annually. The power and flexibility of the FileMaker database helps The Art League accept class registrations and donations online. For the annual Patron Show fundraising event, Adelman Databases created a custom FileMaker database to store ticket purchases, seating assignments, and artist donations. The database is used at the event to showcase the donated art and to record art selected. 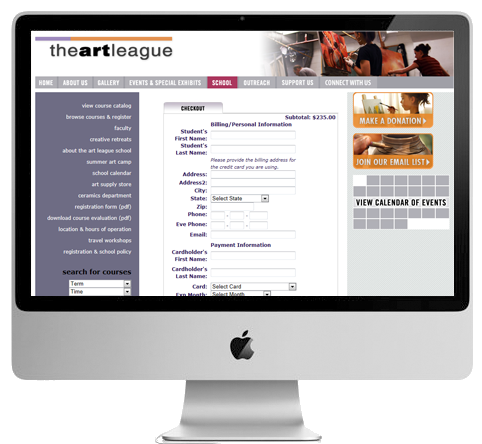 The Art League produces all financial reports from within their robust FileMaker database. Temple Rodef Shalom (TRS) had been using a FileMaker database for many years to track the Bat and Bar Mitzvah process for its members. When TRS needed an online registration process for High Holy Days services, they turned to Adelman Databases. 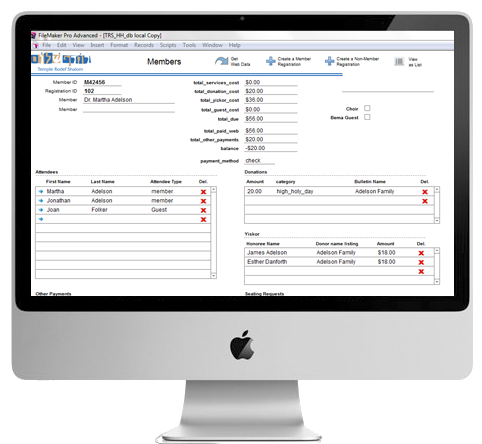 Using ESS to link to a MySQL database, the new FileMaker database is immediately updated as members register online. After registration closes, the database uses a complex algorithm to assign seating, print ID badges and attendee lists for each service. Following upon the success of the online registration, Temple Rodef Shalom added a link from their website to the FileMaker database for members to find and suggest community service projects. The Manufacturing Skills Standards Council (MSSC) is a training, assessment, and certification system for front-line production and material handling workers. Information for the certification system was being stored in unwieldy spreadsheets when MSSC asked Adelman Databases to create a database for this information. 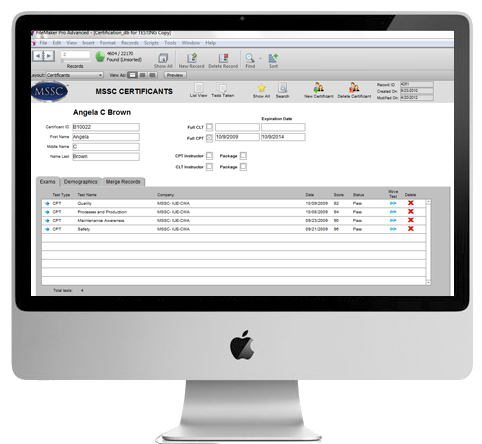 With the custom FileMaker database, certificants view and update their information online and employers can search for prospective employees by certification credentials. The database makes the process of importing data received from testing centers, and exporting data to a fulfillment house, a one step process. Schoenbauer Furniture Service is a furniture repair and restoration company that uses FileMaker to track customer work orders, and create estimates and invoices. When they needed a way for field reps to submit damage reports more quickly, Schoenbauer Furniture Service asked Adelman Databases for a solution. With FileMaker Go for iPad, Adelman Databases created a process for field reps to enter the details of the furniture damage and create a quote on-site. The new information is immediately available to staff at the headquarters office and the repair scheduling process can be started the same day. Schoenbauer Furniture Service is able to respond to customer requests more quickly, and sales reps do not have to return to the office to turn in paper forms. With the new FileMaker Go for iPad solution, Schoenbauer Furniture Service saves both time and money. The Events Production department of George Mason University (GMU) serves the university community by providing technical and personnel support for events and non-classroom activities. Their customers include university departments, administration, student, and off-campus groups. On the day of each event, technical staff is deployed at the event location to monitor equipment set-up, respond to changes in requirements, track their on-site hours, and to report on damages to university property. 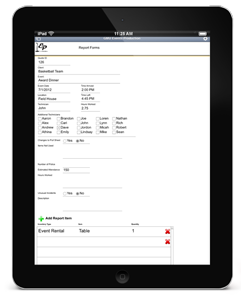 Using a FileMaker Go application developed by Adelman Databases, this information is entered on a mobile device for real time updates to inventory and event costs. The FileMaker Go application captures the signature of the authorizing person for any change that impacts the cost of the event. The FileMaker Go application reduced the time between the event and follow-up reporting because technical staff no longer had to go to the Event Production office to record the data. Enterprise Contracting Services (ECS) is a home remodeling company in Northern Virginia that participates in local and national home shows. Customers who stop by the ECS booth can fill out a form with information and request a quote. 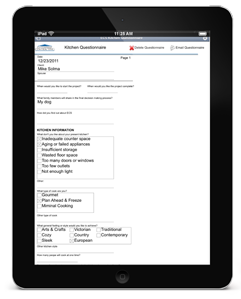 ECS asked Adelman Databases to create a FileMaker Go for iPad application to record information about potential customers interested in remodeling their kitchens. At each home show, ECS staff enters the information in the FileMaker Go application and immediately emails a request to a sales person to follow up with a quote. Adelman Databases helped ECS eliminate the paper forms that were used previously and reduce the amount of time it took to respond to a customer request.